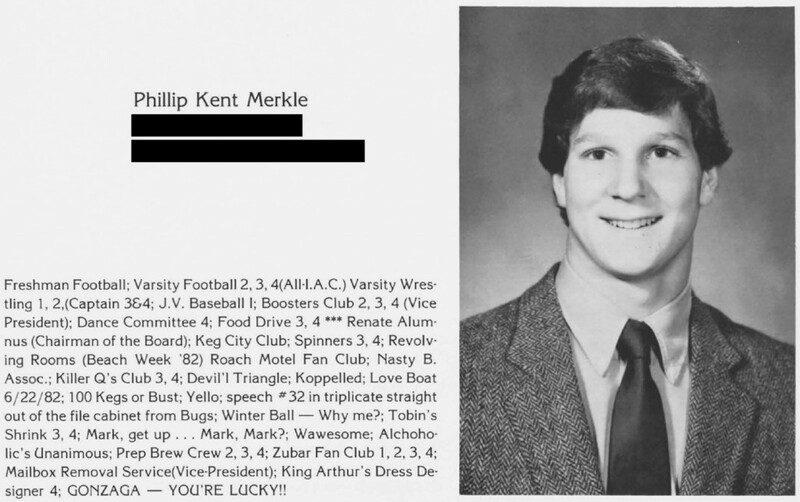 October 4 2018, 2:08 p.m.
An excerpt from the 1983 Georgetown Prep yearbook, showing Brett Kavanaugh at the far left, and Mark Judge next to him, along with seven football teammates. 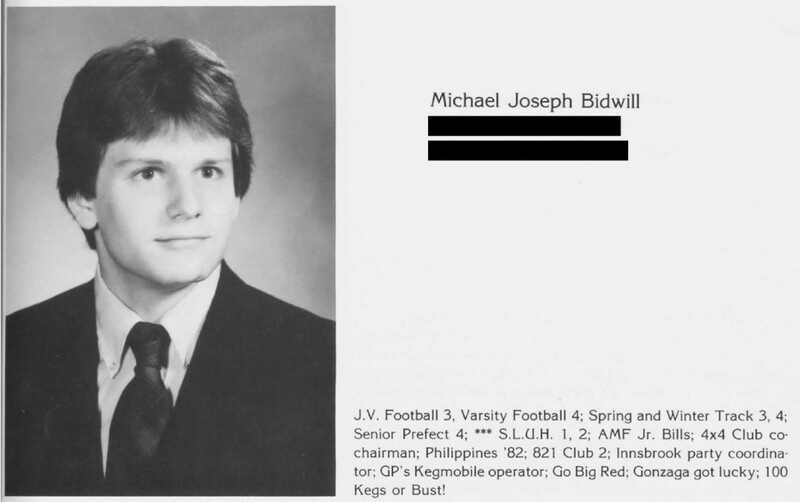 Excerpts from the 1983 Georgetown Prep yearbook. Some personal information and names have been redacted for privacy.